Well friends, at last I am over (not entirely) with jetlag and homesickness. Thought I will start my new year's blog entry with our all time favourite Genasale aka Kai Kadabu (Kai means Coconut in Kannada) which is very well known and loved dish in Karnataka, especially in South Canara. It’s so much loved back in India that its one of the main Prasad offered to Lord Ganesha on the occasion of Ganesh Chaturthi. It is one of the easiest recipes and requires very less preparation and ingredients. So not wasting much of your time I’ll straight away come to the point. 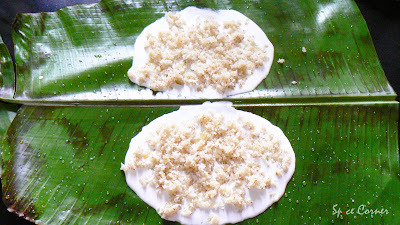 Soak rice in water for 1-2 hours and them grind to smooth batter with salt and enough water. The batter should be of pouring consistency. 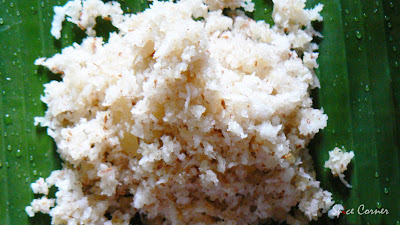 In a bowl mix grated coconut, jaggery powder, cardamom powder and a pinch of salt. Mix them well. You can add more jaggery if you like. 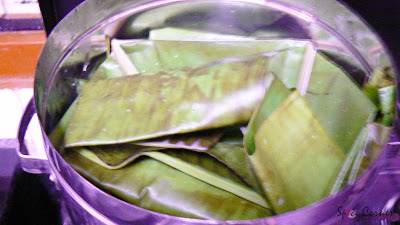 Take a banana leaf and spread the batter thinly. To this spread the coconut mixture evenly covering the batter well. 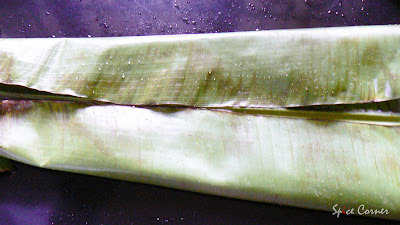 Fold the leaf like hand kerchief (as shown above). Place them in a steamer and steam cook them for 10 minutes in high flame and another 20-30 minutes in medium flame. Let them cool down a bit before you serve. Serve them with dash of Ghee and Spicy Coconut Chilli Chutney. Thank you Seema and Pooja for tagging me for 3 Things MEME..
Homer Simpson from "The Simpsons"
Abuse in any form and mean. So no point in tagging again:) Will check everyone's blog at leisure and tag..
You have come with wonderful,traditional receipe. What a lovely traditional recipe. Love your ganesha spoon. Hi Sia,great dish.I loved the Ganesha spoon.We make Kai Kadubu too at home in India not here.I don't all those leaves etc! 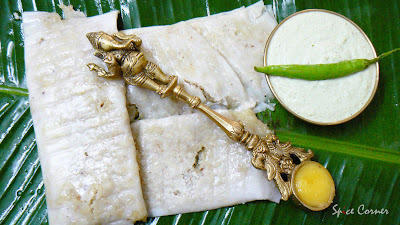 great recipe..the presentation is nice..
Lovely recipe Supriya, the spoon is beautiful. Would give anything to get that spoon. What great pictures! Love the serving spoon! where did you get that? Loved your Meme even better-you're awesome. Take care girl...hope to meet you on YM sometime. Welcome back Sia...Your post is nice and your MEME as well. 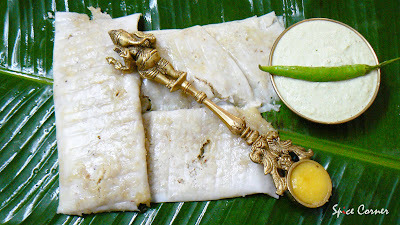 Good to know that this dish is offered to Lord Ganesha on Ganesh Chaturthi. Thanks for sharing such an amazing dish with us...its new for me. u r most welcome buddy. its one of the best dish and it just melts in ur mouth when cooked properly. he he... its an antique spoon which i gifted to my dad for their anniversary. i have brought one for myself too and mine has lord krishna on top. as i mentioned b4 i got this spoon from one antique shop in mangalore and it was my gift to my parents on their wedding anniversary. i have got one for myself too with lord krishna. may be i will buy you one next time when i goto india and send it across if u like. 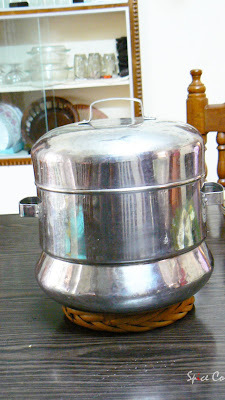 actually @my native place we have got many spoons of this kind which are some decades old. my mom loves collecting panchaloha(5 metals), brass and bronze artifacts. thanks a lot girl for ur sweet wishes. Hi, nice recipe. As for the meme, I too want to learn pottery and I too liked Nancy Drew, I used to have all the titles from beginning to end, even some of the later, ghost-written ones. Hi Supriya,just three days ago, one of my friends came back from her vacation and she got me a book of konkani and kanara recipes.I read about this one in that.looks great and easy but I guess you cannot do it without the banana leaves,isn't it?The Ganesha spoons looks beautiful. Thanks for stopping by my blog. 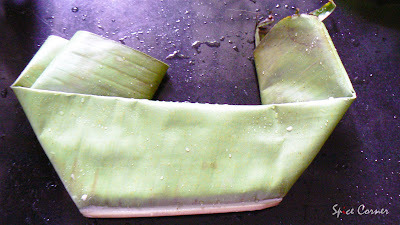 I am jealous, just wonderful banana leaves. Are they fresh? I do not get fresh leaves in my neck of the woods. Hi SUp! My mom makes uddina kadabu and kai kadabu during ganesha habba. Love the taste of both! Glad to know u had a great time in India. Enjoyed reading your 3 things meme too. 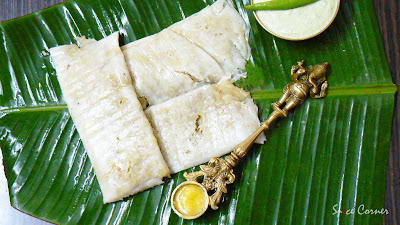 What a lovely presentation, i love this too, we call it Ila Ada in Kerala. you just came back and also started with your delicious dishes here, thats what is called back with a bang ! right? 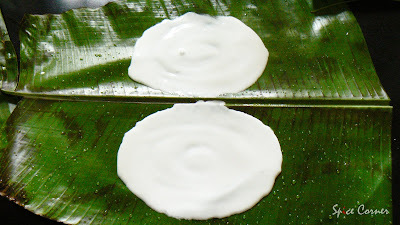 nice to know about Genasalae , i wish if i can get a chance to taste it sometime. this spoon with Ganesha looks so divine itself. I just love it too much. Also enjoyed reading your meme. thanks for sharing a traditional dish. you can submit anything you want dear . thanks for invitingme to your homr plce, i feel like rushing to my mom after hearing those words from you ! well, we are planning to migrate to USA (may be withing 2-3 months from now, as Deepak has already got H1B , just wrapping up things over here and completing the due tasks) , dont know when such time will come agian when you andme will both be in India at the same time . get well soon ,and take care of yourself. I happen to post Pattoli on my blog few weeks back for JFI coconut. Nice to read your blog.. If you feel so, below are the details.. Reply me with your blog as soon as you post them on your blog and also send me your blog url and the title you want to add it as. I will give you a link from both of my blogs. The combination is perfect! I have organic coconuts bought from The Organic Garden with me and I am going to try this authentic recipe shortly!